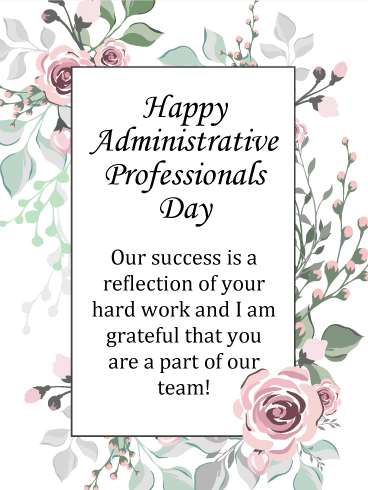 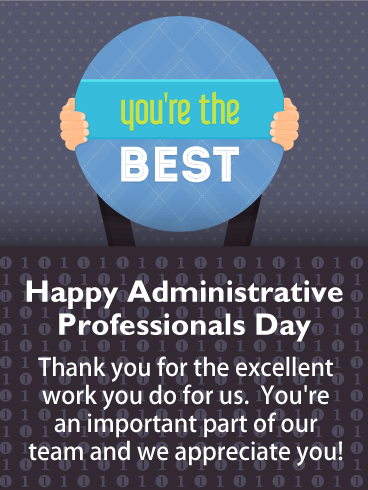 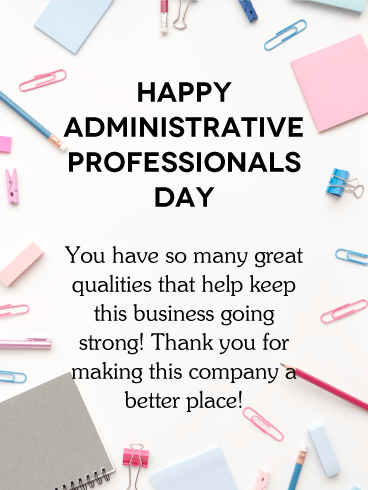 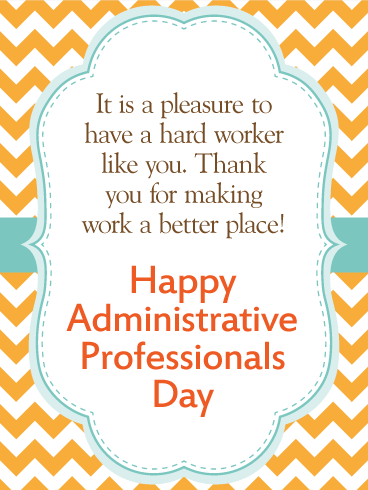 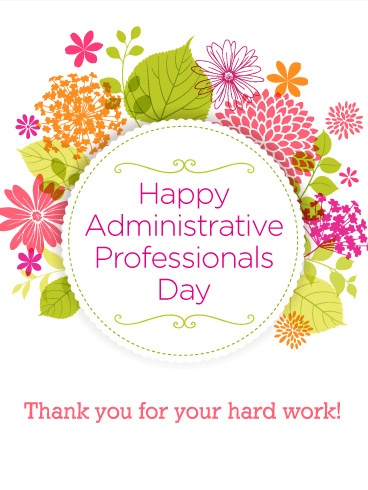 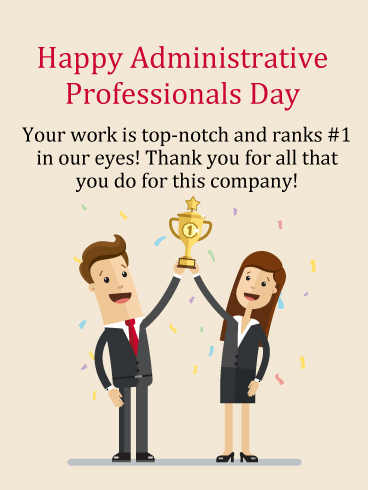 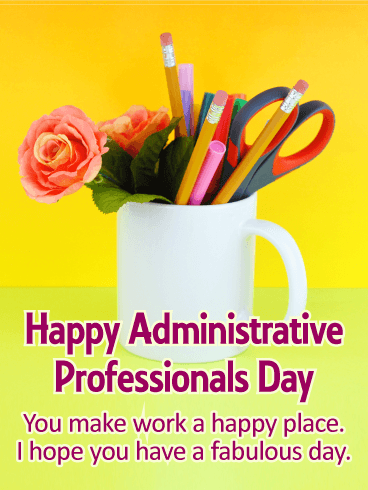 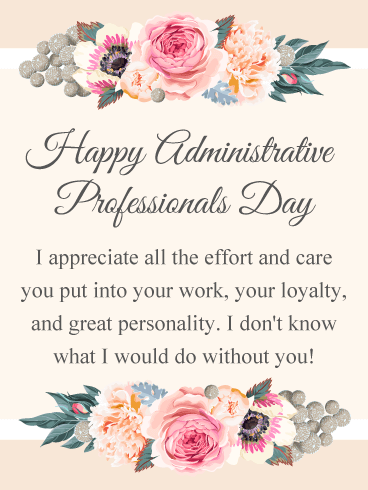 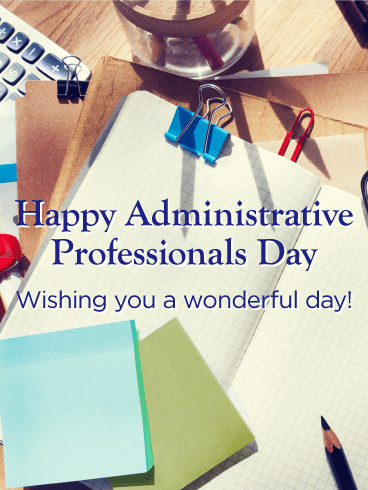 Happy Administrative Professionals Day - You are an amazing employee! 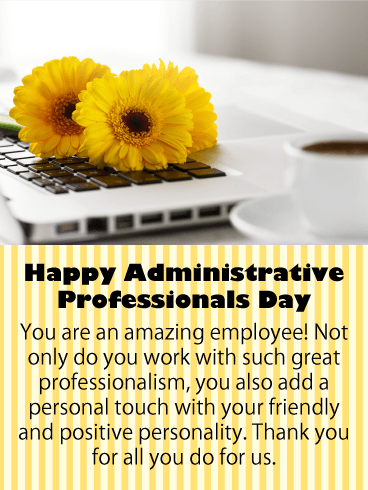 Not only do you work with such great professionalism, you also add a personal touch with your friendly and positive personality. 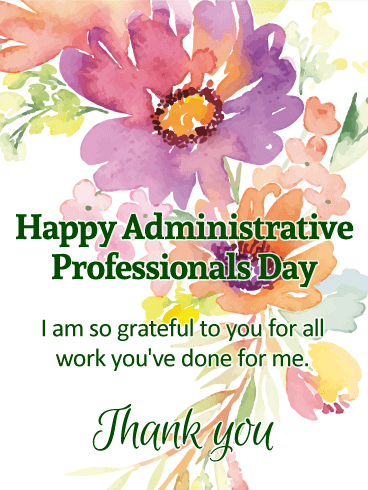 Thank you for all you do for us.